By "Ancillary Relief" we mean the financial proceedings ancillary to divorce. Most commonly, an agreement is negotiated and incorporated into a consent order. Whatever you do, take a lawyer's advice before signing an "Ancillary Relief" order. These are technical documents and you really need to have someone look at the wording and make sure it says what you think it means. Assuming you are able to reach an agreement, your solicitor will draw up the Ancillary Relief order and send it to the other party's solicitor for amendment and approval. If the order provides for a transfer of property it will also be necessary to obtain the approval of the Building Society; and if there is a pension sharing or splitting order the terms will need to be agreed with the pension providers. When everyone is happy with the wording, the order is sent to the Court through the post along with a brief statement of each of the parties' financial circumstances and the Court fee. In due course the order will appear back from the Court bearing the Court seal and having been approved by a District Judge. Alternatively, the Judge may raise a query which has to be dealt with and the order re-submitted. Occasionally (particularly if one of the parties is not legally represented and the order does not on the face of it appear entirely fair) the Judge may ask the parties to attend a brief hearing and may query the terms agreed. The Court can only make orders provided for in the Matrimonial Causes Act 1973 (as amended). Other matters can be agreed but will usually have to appear in a separate part of the order known as the "Recitals" or one party may give a formal undertaking to do or not do certain things. More information about Pensions in Ancillary Relief. It follows that while Court orders do often include child maintenance, in most cases this will be where the parties have managed to negotiate an agreement as to figures payable. There are many benefits to Mediation. If you haven’t been to one of these meetings, the court may ask you to do so before it proceeds with your case. An application (Form A) for Ancillary Relief can be issued by either party to a divorce. There is a simple form to complete and Court fee to pay. The Court issues the application; automatically makes an order for documents to be prepared by both sides; lists the matter for a First Appointment in 12 to 16 weeks time; and sends copies of all the paperwork to the Respondent to the application within 5 days. If there is an application for a transfer of property order or for pension provision, the Applicant also has to arrange service on any Building Society or Pension Provider. Mediation before Court - As of the 6th April 2011 a mediation assessment meeting is needed for most before an application for a financial order can be made. If you are not going to start mediation sessions, the mediator will fill in a Form FM1 and give it to you or your solicitor. You should include this form with with your application papers if you decide to go to court. Chronology - a list in chronological order of all the main events of financial significance to the marriage. Form H - An estimate of costs up until the First Appointment. The Chronology, Statement of Issues and Questionnaire have to ready one week before the First Appointment and the Form H the day before. Depending on local court practice this will may be used as a first opportunity by the District Judge to address issues and encourage the parties to negotiate. Procedural matters are dealt with and directions are given by the Judge about the future conduct of the case. The appointment takes place in private "in Chambers" commonly round a large set of desks in the Judge's room. The only people present will be the Judge, the parties and their legal representatives. You may be represented by a solicitor or a barrister. You may feel more comfortable if you bring a friend with you for moral support but if you do so, your friend will need to wait in the public part of the building while you go in to see the Judge. The "FDR" is usually listed about 2 months after the First Appointment. By that time both parties should have available all the relevant facts and documents and the appointment will be led by the District Judge with a view to encouraging the parties to reach a settlement. Offers will usually have been made on both sides and these will be considered by the Judge and each of the legal representatives will explain their respective positions. Every FDR is different and each Judge has their own way of conducting them. However, the Judge is likely to give a view as to which arguments are likely to find favour and may indicate what kind of order he or she would make if hearing the matter. The parties and their lawyers are then invited to leave the Judge's room in order to negotiate. The main part of the negotiations are dealt with between the lawyers (most probably down a corridor, while you wait in an interview room if you are lucky or in some other part of the corridor if the Court is crowded). Your lawyer should come back and report to you at regular intervals as to what is being said. If agreement is reached, the District Judge may make an order there and then but it is quite usual for the matter to be adjourned so the order can be drafted by your solicitor back at the office, approved by the other side and then sent to the Court for approval. If the matter is not agreed, the Judge will make any further directions required and set the case down for a final hearing. If the parties are still not in agreement, the matter is listed for a final hearing. This is a much longer hearing, again heard in private, although it may take place either in the Judge's room or in a Court room. A very straightforward case might be set down for half a day. A longer case will take up a whole day or more. The Judge who dealt with the FDR cannot deal with the final hearing because he/she will be aware of the without prejudice offers which cannot be disclosed to the trial Judge. You will find the room will be awash with "bundles". All the paperwork will have been gathered together and everyone should have a paginated bundle of all the relevant documents organised in a particular order and usually put into lever arch files. It is the Applicant's solicitor's job to get this organised and since documents often appear just before the hearing this can be very troublesome. If you want to help your solicitor, get your documents sorted out well before the hearing! At the start of the case, the solicitor or barrister for the Applicant will make an opening speech explaining what the case is about. Each of the parties and any witnesses then give evidence and are cross-examined: the Applicant going first followed by his/her witnesses and the Respondent and his/her witnesses giving evidence second. The lawyers each make a closing speech. The Judge will then give his or her Judgement and make whatever order he/she considers appropriate. After the order has been made there will be more arguments presented on the question of costs and a costs order may be made. Several days later you should receive a copy of the typed order from the Court and your solicitor will start doing the work required to put the order into effect. This can be time consuming and may involve transferring a house or endowment policies and organising a pension sharing or attachment order. The file will not be finished with until the costs have been sorted out. This may take a very long time! If you have the benefit of a public funding certificate, the costs will be recorded in a lengthy bill of costs. You will be provided with a copy and given an opportunity to ask for a hearing before a District Judge if you are not happy with what your solicitor is charging ("an assessment appointment"). 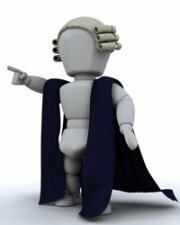 The hourly rates are fixed by the Lord Chancellor's department each year, so if you object you can only really say that your solicitor took too long doing something; did a job which was not necessary; or that the bill duplicates items or includes work which was not done. Whether you ask for an assessment appointment or not, the bill will be scrutinised by the Judge who will carry out a provisional assessment. Items may be knocked off. The bill is returned to your solicitor. If your solicitor is not happy, he/she can ask for an assessment appointment. Eventually, an assessment will be finalised and the final figure is sent to the Legal Services Commission so that your solicitor can be paid. Interim payments on account will have been paid in the meantime, so it is only the balance which is paid over at this point. When it is all finalised, you should be told what the final figure is, since this will usually have to be repaid by you to the Legal Services Commission under the operation of the "statutory charge". If you are a private client, your solicitor will have been sending you invoices as the matter went along. A final invoice will be raised and as far as your own costs are concerned that will be that. However, it may be that either you are ordered to pay your spouse's costs or that he/she is ordered to pay yours. Sometimes a figure will have been fixed by the Judge at one of the hearings. More commonly, there will be an order for the costs to be "assessed if not agreed". If that happens you will find there is a procedure very similar to the assessment procedure described above. Again a bill of costs will be prepared. The figures will either be negotiated between the solicitors or there will be an assessment hearing and a costs order will then be made. Have a look through the Case Law examples. Feedback received from 10 customer(s). GREAT CLARITY AND UNBIASED INFORMATION - SO GRATEFUL! VERY INFORMATIVE, STEP BY STEP INSTRUCTIONS. MAY I SUGGEST WHEN TALKING ABOUT THE FORMS MAY BE ADD A LIKE TO IT OFF THAT PAGE. This has enough detail to be helpful - thank you. This is helping me lots amongst many other items in the library. The process seems so straight forward if you're in the know, but this article strips everything back to plain language and makes it crystal clear. Thank you so very much, it'll help especially as I'm representing myself. To the point just what I needed to clarify what my barister told me when I was tooooo emotional to take it all in.